And every day I get an answer like “fine” or “good,” which doesn’t tell me a whole lot. Or at least get a full sentence. So the other night, I sat down and made a list of more engaging questions to ask about school. 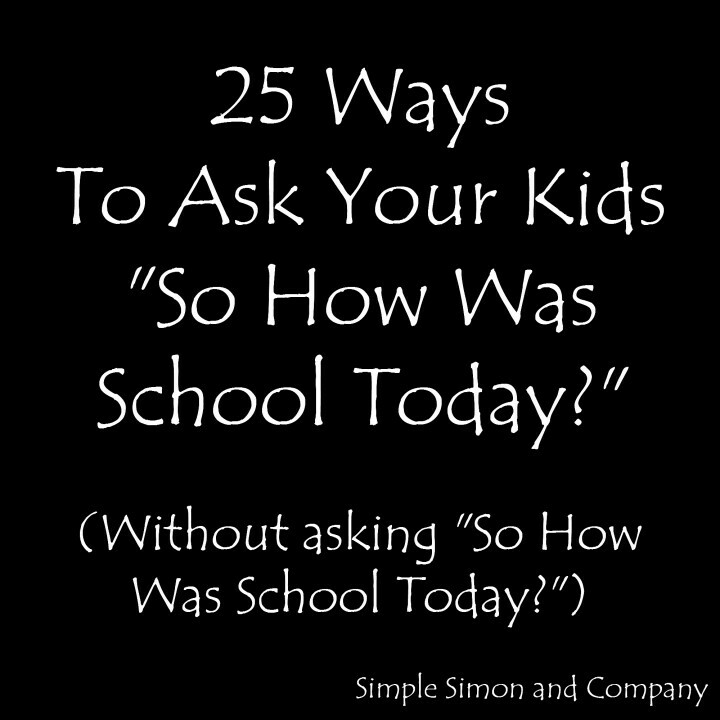 They aren’t perfect, but I do at least get complete sentences, and some have led to some interesting conversations… and hilarious answers… and some insights into how my kids think and feel about school. 13. Who would you like to play with at recess that you’ve never played with before? So far, my favorite answers have come from questions 12, 15 and 21. Questions like the “alien” one give kids a non-threatening way to say who they would rather not have in their class, and open the door for you to have a discussion to ask why, potentially uncovering issues you didn’t know about before. And the answers we get are sometimes really surprising. When I asked question 3, I discovered that one of my children didn’t want to sit by a best friend in class anymore — not out of a desire to be mean or bully, but in the hope they’d get the chance to work with other people. As my kids get older, I know I am going to have to work harder and harder to stay engaged with them — but I know it’s going to be worth the work.